Those who have limited space in their homes can appreciate that this kids’ storage also doubles as a bench where kids can sit comfortably during break time or time out sessions. This playroom buddy measures 48”W 16”H and 15”deep, just the right size for pre-school kids. 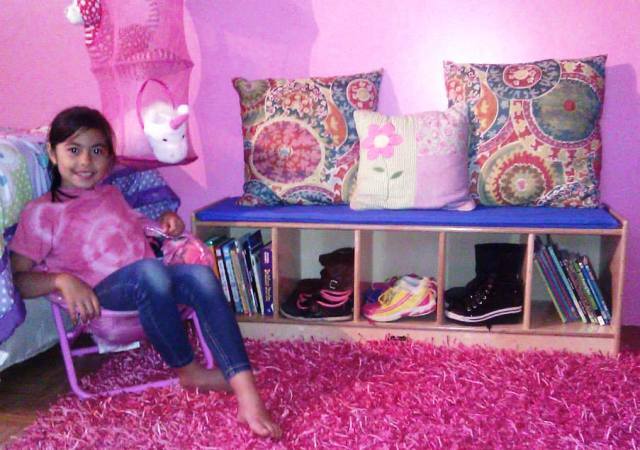 There are five cubby holes available where kids can place their books, toys, CDs, or even shoes. Those who run a small pre-school or day care may find this furnishing useful in their reception where kids can deposit their footwear before going inside. Parents may designate items to be placed in each cubby hole. This makes it easier for the child to pack away and also help him find his things without much difficulty. 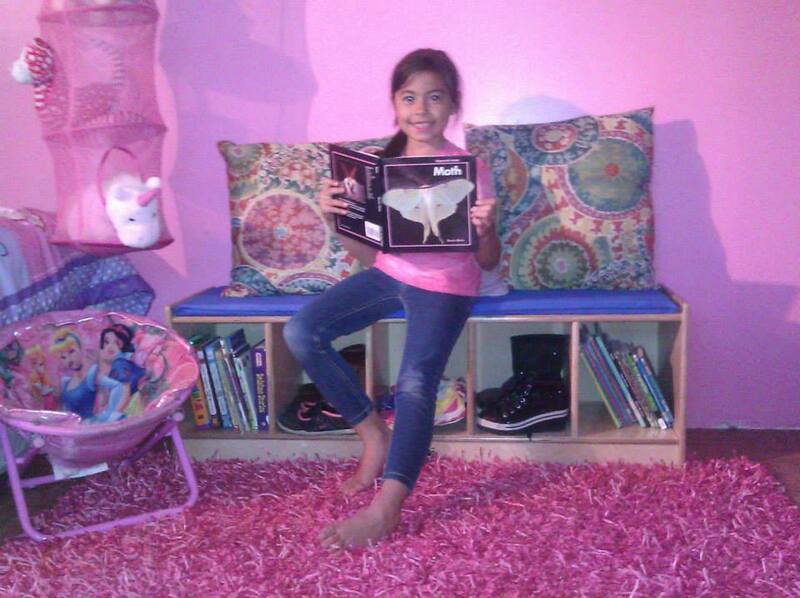 I placed the Kids Footlocker Cubby Bench inside my niece’s room and used it as storage for his books and DVDs. My darling niece had no trouble finding and returning her books. Kids can also sit on the footlocker bench while reading a book. My estimate is that it can sit four pre-school kids side by side without them crowding each other. It comes with a cushion top which is available in blue or tan color. The cushion top is made from vinyl material so you don’t have to worry about spills or “accidents”. Not to mention easy to clean too. Another thing I liked about it is its rounded edges. 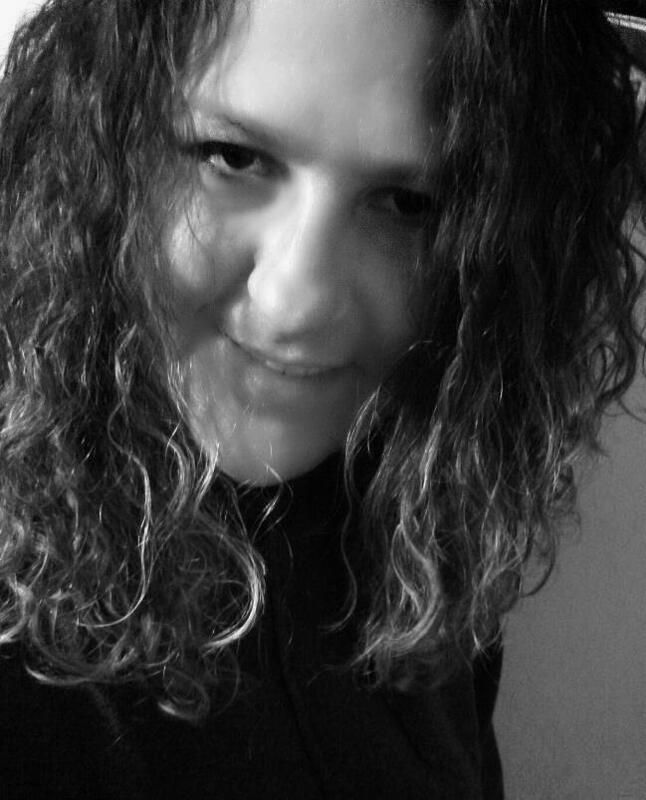 I checked the front, back, and even the base and they are all free of sharp edges. Now I don’t have to worry about my niece getting seriously hurt in case she bumps into the footlocker. 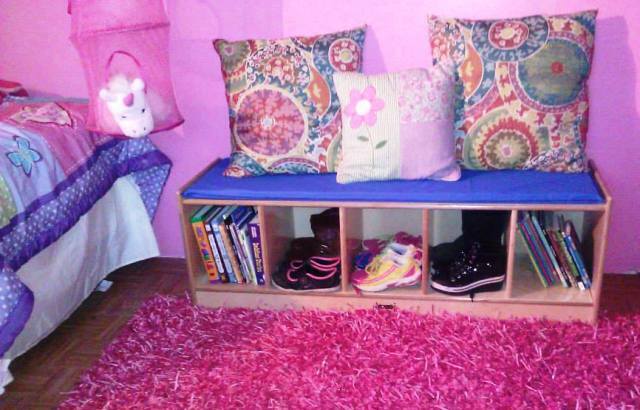 The Kids Footlocker Cubby Bench is a great buddy for teaching kids how to keep his room organized. This bench and storage combo is safe, child friendly, and durable. You get to save on space while saving the room from clutter.